The Grenadines are part of the Windward Islands, the wildest and most scenic Caribbean islands. This archipelago of small, quiet, green islands, surrounded by reefs and amazing sea, is a haven for sailors. Whose who don't sail can visit the Grenadines by ferry and by organized tours. 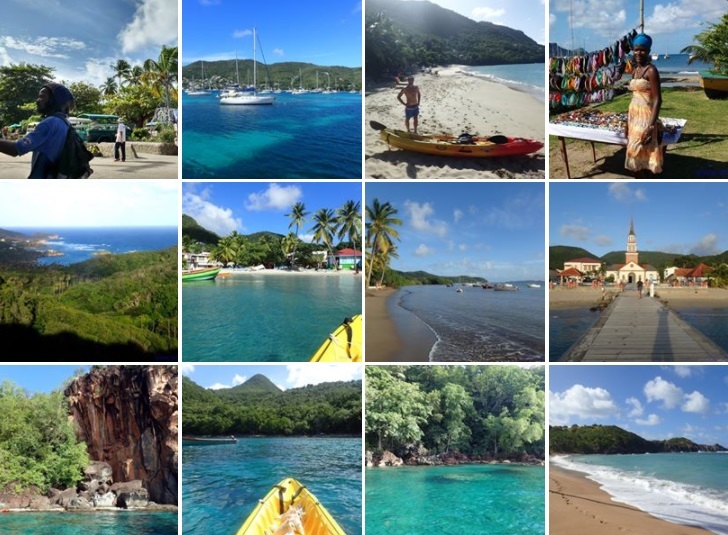 From the tourists' point of view, the main islands (belonging to the country of Saint Vincent and the Grenadines) are Bequia, Canouan, Mustique, Mayreau, Union Island and the Tobago Cays (to which we dedicate a specific page). Some other islands and islets are parte of the country of Grenada (from Carriacou to the South) and are not touched by this travel itinerary. This island is the access point of the Grenadines for those who come from the North. Several boats moor at Admiralty Bay, the wide gulf that make up most of the leeward coast of the island. The beaches here in Bequia are beautiful, though they are not as heavenly and Caribbean as the ones in Tobago Cays. On the green hills behing the beaches there are colourful houses with stunning views. For sailors Bequia is great not only to apply for customs, but also to buy food and handycrafts at not so handy prices in the typical shops and market stalls right on Admiralty Bay. There are some nice walks that can be had in Bequia. Once I went to the top of the highest hill of the island, which is about 250 metres above sea level. The walk was nice, but the view from the top was covered by the trees. There were also tow antennas: to enjoy a better few and shoot some photos, I climbed on top of one of the antennas: the panorama was great! All this for Wild Trips readers! 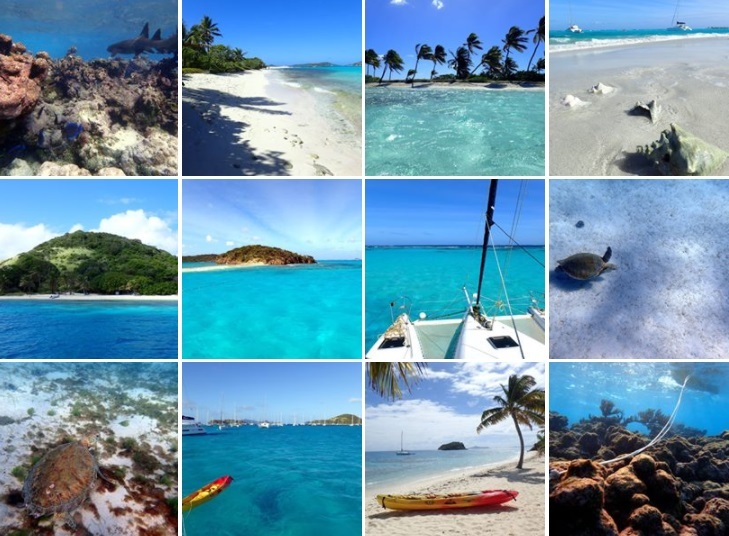 The Tobago Cays are an awesome marine park and are described here. Mayreau and Union are the two inhabited islands closest to the Tobago Cays. However, even if they are just few miles away from such beauty (and they are stunning themselves), Mayreu and Union are not affected by tourism. There are several sailing boots moored in the bays and some bars, but everything else is very rural and Caribbean, also because the number of tourists is much less than what one could expect. Mayreau is surrounded by white beaches: on the leeward coast there the beautiful Salt Whistle Bay and the wider Saline Bay (both excellent anchorages for sailors), but also the windward coast boasts a long and narrow white beach with some branches of the trees that are tight on the sea. This coast is , protected by the coral reef. Narrow roads and nice treks allow walking around the small island of Mayreau and its green hills. On one of these, near Saline Bay, there is the small Mayreau village, made of quanti colourful little houses. On some of them the owners put a wooden sign saying "Bar". Some vegetable gardens and some goats complete the very traditional landscape. From the top of the hill, a little church has a beautiful view over Saline Bay and the Tobago Cays. If you are naughty you can pull the bell. Union Island is bigger and more populates, but not less picturesque. Even the small airport, right on the sea, is very Caribbean, with the sailing boats moored just few meters away from the only track and the barrier reef with its beautiful shades of blue. In the lagoon protected by the reef, the kite-surfers enjoy the trade winds. Canouan is bigger than Mayreau and Union, but part of it is reserve to a resort for rich people who want to play golf. You can skip Canouan in your travel itinerary. Also most of Mustique is preivately owned, as in this little island of the Grenadines several rich Americans built their villas. However, the houses are well hidden and island looks still wild: some beaches and some paths allow admiring this small Caribbean island. There are also some other interesting islets like Palm Island and Petit St Vincent, that deserve a visit if you are travelling by sailing boat. Then go visit the pages with info dedicated to travel itineraries in the Caribbean, to sailing in the Caribbean and to the kayaking trips in these amazing islands. You can also get specific info about Martinique, Saint Lucia, Saint Vincent and Tobago Cays.